Eco friendly fashion has come a long way since its hippie, patchouli smelling, tye dyed, hemp clothing days. It’s a growing market and a veritable forest of competition. 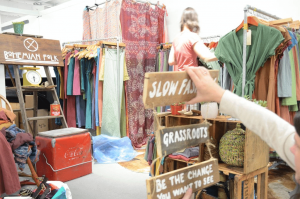 Two primary trends are propelling current and future growth among ethical clothing brands. Climate change education means that more and more people understand the challenge that humankind faces, they and are demanding that companies step up and take action. Therefore we’ve seen a rise in sustainable and socially conscious businesses from cleaning supplies to beauty to transportation. Technological developments in the textile industry means that eco friendly clothing lines have become a viable alternative to conventional fabrics; they can now compete financially to bring their products to the mainstream market. These two factors indicate that continued growth in the eco fashion industry is inevitable.  Brands for the Heart loves these eco friendly fashion companies, which are on a collective mission to protect their environment, their employees, and their customers. But good intentions doesn’t automatically mean success. As with any brand in a saturated and mature market, finding ways to stand out from the competition is critical for success. 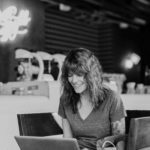 Your good work is the “why” you’ll connect with your customer base. Good branding is the “how” you’ll introduce your work to your audience and get them hooked on your products so that not only can you grow your business, but inspire customers to make conscious choices for the greater good. No company can exist and thrive without its employees, so what better place to start? Bold eco-friendly fashion companies not only employ great artisans, they employ people who are among dispossessed and unfortunate populations, of whom the world has too many. By providing much-needed quality jobs, a business such as Blue meets Blue not only creates high fashion, but also helps tackle problems of unemployment, dispossession, and societal integration. Blue meets Blue is a humanitarian luxury fashion label founded by entrepreneur and social activist Shahd Alasaly. The company’s fashion products are made by refugee artisans new to the United States, providing a nurturing environment for qualified refugee artisans that enriches their lives with renewed hope and freedom while shining a light on their time-honored tradition of design. The artisans that John Hardy works with aren’t refugees; rather, the company provides local communities in Bali, Indonesia with good jobs that protect their way of life. Through their “Jobs for Life” program, John Hardy employees women, men, and whole families, which ensures the unique jewelry making tradition is passed on for generations and apprentices will one day become masters. The company also uses reclaimed silver and gold, and diamonds and gemstones through suppliers which have been thoroughly vetted to ensure the highest ethical standards. Working with these artisans is a superb way for these companies stand taller than the rest of the eco-friendly crowd! Want a great example? Look at our client Bohemian Folk, which provided the definition above. They believe true sustainability begins with simplicity, and they use that core value to guide all aspects of their business model, from the natural fibers and dyes they use, to the clothing designs themselves, to product packages, to a straightforward supply chain. It’s minimalist, anti-consumerist, ethical … and it looks great! For more examples on the movement towards simplicity and well-crafted items, check out this article. Does it matter if your fashion line is environmentally friendly, durable, and super cool if a child laborer somewhere is making the clothes? A fair trade supply chain ensures that people (as well as the environment) are treated well all along the way. 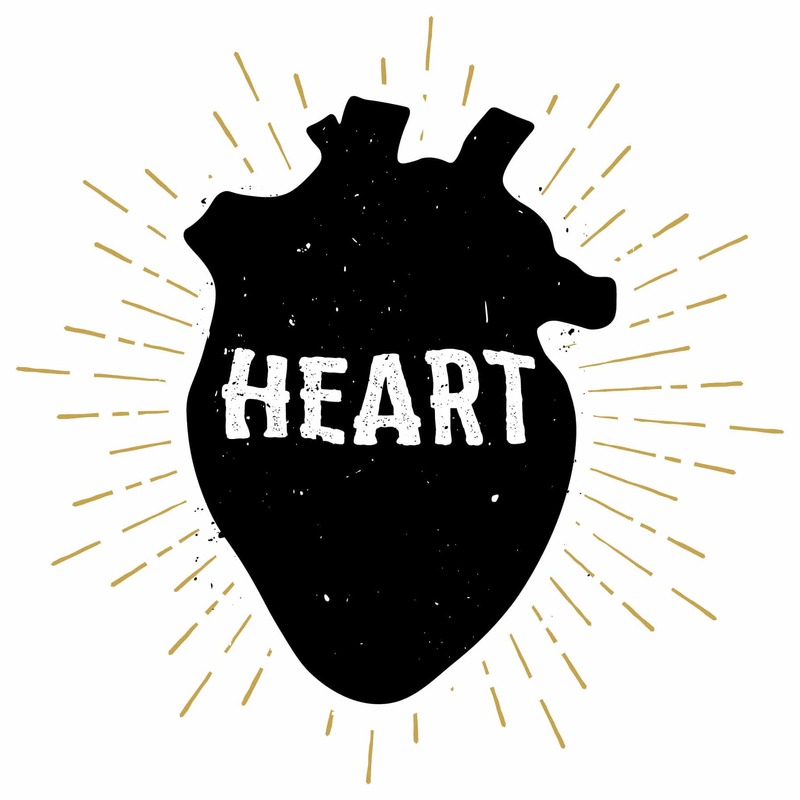 Many lovable brands – including Bohemian Folk above – emphasize this. People Tree has been sustainable for 26 years and counting, making them a pioneer in ethical fashion. They were the first company to implement a seed-to-garment supply chain for organic cotton. They purchase the majority of their Fair Trade products from marginalized producer groups in the developing world and use natural resources throughout production to promote environmentally responsible initiatives for a sustainable future. They’re accredited by the World Fair Trade Organization, the Fair-trade Foundation and the Soil Association. If you’re all about sustainable fashion, People Tree is a safe buy. Reformation uses vintage clothes and deadstock fabrics from fashion houses that over-ordered and repurpose them for their clothing line. They also use new age materials such as tencel which is manufactured from Eucalyptus trees that uses 20% of the land that is needed for a cotton plantation. From seed to … tencel, Reformation knows sustainability and they know how to stand out to their customer base. Toms Shoes pioneered this now widespread trend. The idea is that for every [fill the in blank] you buy, the company donates another [fill in the blank] to a good cause. Toms donates shoes, Bombas donates a pair of socks to the homeless for every pair of socks purchased. It’s one heck of a differentiator. Amour Vert has a slightly different take on this concept. 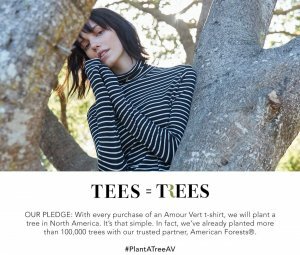 For every purchase of a t-shirt from this sustainable and innovative company, they plant a tree in the United States. Kinda makes you want to put a couple extra in your shopping cart, right? Another kind of give back strategy is donated a certain percentage of net proceeds or sales that an eco-friendly company generates to a good cause. For instance, with every purchase, Brands for the Heart eco-fashion client Livie & Luca donates 10% of net proceeds to nonprofits spreading joy to children’s development and well-being. Local production is not a solution 100% of the time, but when it’s possible, it tends to be much more eco-friendly than other options. Just think of the fuel usage alone when a North American purchases a piece of clothing made in China. It adds up, and the planet gets a little bit sicker. Alabama Chanin produces locally sewn jersey garments and home goods and in doing so preserves traditions of community, design, producing, and living arts. This company also does a nice job with brand differentiation by integrating the location of production into their name. Bella Nove is so eco-friendly they don’t even sell their fashion line; they rent it! 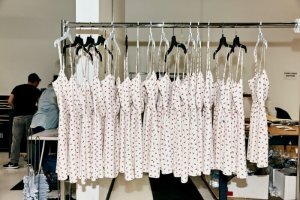 The company is a quality clothing rental subscription for working women who want to look great while they’re pregnant, without wasting money or contributing to landfills. Wow! Once you’ve nailed the eco-friendly aspect of your clothing line, you can ask yourself if there’s an even more targeted niche you can be positioning your brand to be marketed to. Mission Statement is an impactful, ethical fashion brand. It also has a compelling niche: the company is all about women making their own statements about themselves. They don’t put the logos outside on their clothes because the company wants it to be about the women wearing them. Founder Hilary Swank, who also runs her own charity organisation Hilaroo, has personally visited and met all the artisans and factories who manufacture their products ensure that everything is ethically made. Another client of ours, Uomo D’oro, is another great example. All fashion line products are hand-crafted in Italy for heirloom quality while at the same time, the company focuses on men’s social causes and has linked up with a charity to support young men find their inner champion. Even a luxury men’s sneaker brand can have a deeply heart centred purpose and a vision to positively impact young men become champions. It’s essential to align your differentiation strategy with the mission and vision of your company, and this is something that Mission Statement and Uomo D’oro achieve to great success. The United Nations has reported that the best way to protect the environment is to adopt a vegan/vegetarian diet, given the harmful effects of factory farming. There are a lot of animal lovers out there, and the vegan community is growing at a rapid pace. Here are two brands who connect nicely with this audience. 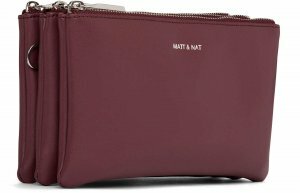 MATT & NAT creates stylish bags, and prides itself on being a vegan brand, meaning there are no animal products used in production. In addition to being vegan, sustainable materials are constantly sourced in design such as cork and rubber. The head office in Montreal, Canada is a ‘cruelty free’ zone. On the last Friday of every month the staff hold a vegetarian potluck at which time employees’ birthdays are celebrated with vegan cupcakes! 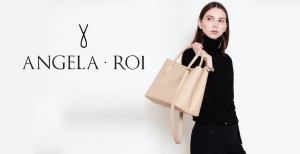 Angela Roi an ethical luxury handbag brand in New York that uses faux leather, focuses on sustainable production model, and supports Animal Society for the Prevention of Cruelty to Animals (ASPCA). And they look great doing it! It’s the proverbial two birds with one stone. What better match than to market your ethical clothing brand while spotlighting a good cause at the same time? Let’s return to Livie & Luca for this one. This summer, they collaborated with Changing the Face of Beauty, an organization that is committed to equal representation of people with disabilities in advertising and media worldwide, to launch an event called, Everybody Plays. Truly heartwarming, and an incredible way for the a fashion brand to differentiate themselves! Can you think of any other ways for an eco-friendly fashion brands to stand out? Are you ready to launch (or relaunch) your own ethical clothing brand?